In a small sauce pan bring water and sugar to boil; until sugar completely dissolves. Add dried lavender and mint, remove from heat and steep for 30 minutes; strain. 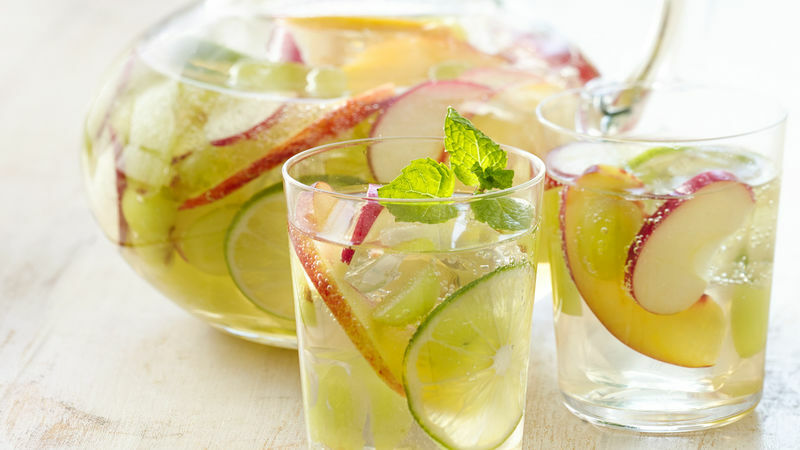 In a large pitcher combine wine, fruits and lavender-mint simple syrup; mix well. Place pitcher in fridge for 1 hour. When ready to serve stir in club soda and serve over ice. Plan ahead – make lavender-mint simple syrup the day or days ahead (will keep in fridge for a week) then simply add to pitcher with fruits and chill. Vianney Rodriguez Pamper your mom this year on her special day with this refreshing Sangria. Brimming with fresh fruit flavors and crisp white wine. Serve over infused ice cubes for that extra special touch on a day dedicated to shower her. Praise her and thank her for all she does.